Account manager and new mama Jane recently returned to Hot Tin Roof following her maternity leave. Here, she shares how working in the fast-paced world of PR prepared her for (some!) of the challenges she faced during her first few months of parenthood. As I prepared to welcome my wee girl into the world, I have to admit I was more than a little nervous. 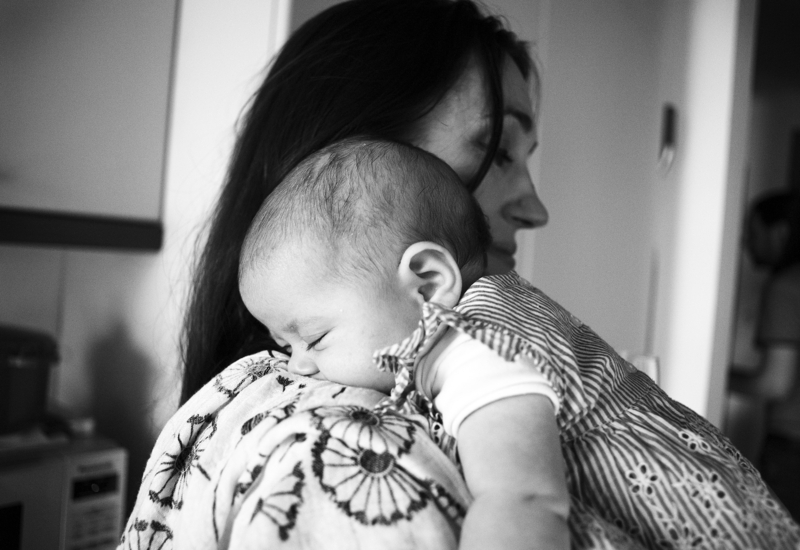 How would I tackle the tremendous challenges faced by all new parents? While there is no way to ever fully prepare for the life-changing experience of having a baby, I found the skills I have learned throughout my career in PR certainly benefitted my new role as cuddler-in-chief. Never mind spinning plates, working in a PR agency requires an array of circus skills! Juggling client strategies, balancing your workload, and of course the lion-taming act of media relations means project management is a vital skill for any PR professional. However, this all pales in comparison with attempting to leave the house with an infant. Planning ahead is key. The change-bag must be checked and repacked, a route planned with baby-friendly pit stops, and feeding timings accounted for. While it is impossible to completely project manage a baby (they are notoriously unpredictable), good organisational skills certainly help when getting out and about. It is amazing how much effort, time and energy goes into caring for a tiny tot. Any new parent needs a helping hand at times. From the amazing support provided by the NHS, to the care, love and lasagnes offered by friends and family. It really does take a village to get through the first few months while you find your feet. One of our greatest strengths at Hot Tin Roof is our willingness to work closely as a team and help each other out. From brainstorming sessions, to jumping in on a last minute distribution, everyone supports each other and it’s how we drive our campaigns to success. Us PRs are a nosy bunch. We thrive on digging in to the nitty-gritty and finding out what makes people tick. Working in Scotland’s tech sector means we have the privilege of working with clients who have devised something new and often never seen before. We have to learn a lot as we go, and quickly! Information gathering and research is a daily occurrence for mums and dads. It starts before the baby is born! What is the best pram, when will they sleep through the night, what will their first food be, when will they sleep through the night, how can you help their brains develop, when will they sleep through the night…. It’s a steep learning curve, but knowledge is power and it helps to consider your options and be as prepared as possible. Naturally, tea and biscuits are an essential component of each day, in or out of the office. Trying to walk the tightrope between my roles as a PR professional and new mum can sometimes feel daunting, however with the support of a great team (and a pretty cute bubba!) every day is rewarding. I wouldn’t change a thing.